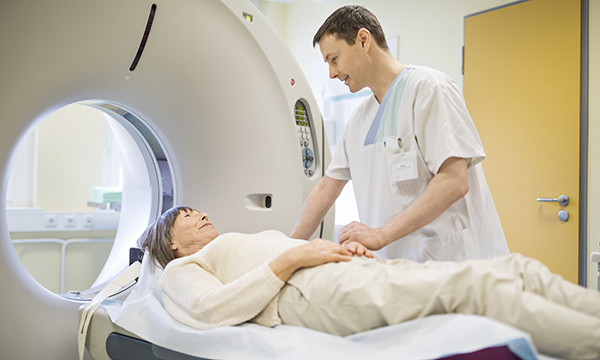 Early scans should be offered to patients with pancreatic cancer to improve management of the disease and avoid unnecessary surgery, according to new guidance. The recommendation from the National Institute for Health and Care Excellence (NICE) is part of new guidance which covers the diagnosis and management of pancreatic cancer in adults. NICE estimates that using the PET-CT scan in the diagnosis and staging of pancreatic cancer will result in a 20% reduction in operations. It also claims that early scans will reduce the effect on patients and the NHS of inappropriate, expensive surgery and will also allow earlier access to chemotherapy. Patients diagnosed with pancreatic cancer have an average life expectancy of between four and six months. The NICE guidelines aim to improve care by ‘ensuring quicker and more accurate diagnosis, and by specifying the most effective treatments for people depending on how advanced their cancer is’. The guidelines also cover psychological support, pain and nutritional management.